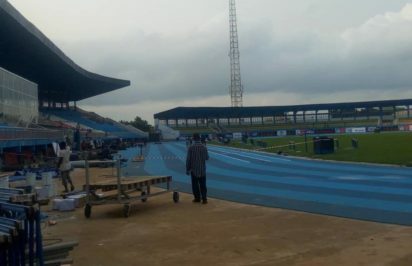 THE who-is-who in African sports and beyond will be arriving in Asaba, Delta State on Sunday for the 21st African Senior Athletics Championships. According to a statement issued by Olukayode Thomas, the Head of Media and Publicity for CAA Asaba 2018, Maria Mutola will be leading the cast of world sporting figures that would be arriving in Asaba this weekend. Mutola was a former African and world champion in the 800m and was fondly referred to as ‘Maputo Express’ during her active days on the track. David Rudisha and Hicham El Guerrouj among many others. Also, those to be inducted into the CAA Hall of fame will arrive this weekend. The impressive list has the likes of Tirunesh Dibaba, from Ethiopia and her compatriot, Mesert Defar. The South African duo of Caster Semenya and Wayde van Niekerk, bothOlympics and World Champions, will also be inducted alongside Nigeria’s Olusoji Fasuba and Blessing Okagbare among others. Also expected to grass the Africa Athletics Championships are former Confederation of African Football President, Issa Hayatou and his successor in CAF, Ahmad Ahmad.